Pictured from left: McDonald’s Owner/Operator Bob Stoltz, WLES teacher Lori Healy and McDonald’s Owner/Operator Ross Stoltz. Washington Lands Elementary School 5th grade teacher Lori Healy was one of only three to be awarded a local McDonald’s Make Activities Count (MAC) Grant. Local McDonald’s Owner/Operators Ross and Carol Stoltz, along with their son Bob, held a special presentation and dinner Tuesday evening at the Elm Grove location for this year’s MAC Grant winners. 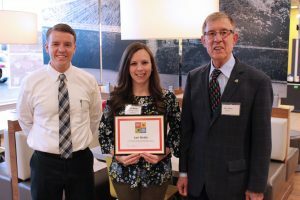 “Because McDonald’s recognizes that children benefit from hands-on learning experiences, our MAC Grant program awards funds to local teachers to help them Make Activities Count in their classrooms,” explained Ross Stoltz. Now in its 24th consecutive year, the McDonald’s MAC Grant program provides school teachers up to $500 for interesting and educational projects to help learning come alive during class. To date, regional McDonald’s restaurants have awarded more than $2.75 million to support hands-on learning in the classrooms through the MAC Grant program. Healy will use the $500 she received to buy HEXBUG robot kits for STEM lessons. 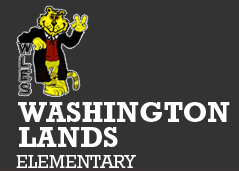 She currently teaches Project Lead the Way courses, a STEM (Science, Technology Engineering, Math) based curriculum, at Washington Lands Elementary School.